Once you have prepared yourself to qualify for a mortgage you can afford, you can focus on successfully closing on a mortgage. Bills.com offers you additional mortgage tips to help you get a mortgage that best fits your financial situation. Our tips will help you shop around, compare terms, and close a deal. Getting the best mortgage for your individual financial situation takes preparation. Choosing the right loan is not always easy. Mortgage loans come in different sizes and shapes. When shopping for a mortgage you will need to choose between different loan programs and offers, with varying lengths for the loan, interest rates, fee structures, and mortgage insurance requirements. Our next three mortgage tips will help you shop for a mortgage by learning how to get, compare and lock different mortgage offers. Get a mortgage quote from Bills.com mortgage providers. Use competition to your advantage. Get multiple offers! Lenders offering the same product (for example, a 30-yr fixed rate mortgage) don’t have the same lending requirements, nor the same price structure. Check out Bills.com mortgage rate table and get offers from multiple lenders. Get pre-approved. It will save you time when you are ready to close. Don’t rely on the lender’s first offer. Shop around and get back in touch with the lender. If you have a unique situation, then check out a broker that specializes in loans with your situation. In addition, a local bank or credit union is a good place to start your shopping. There are special loan programs for rural areas. Sometimes you will need a special lender to find one that fits your situation. With just one click, Bills.com makes it easier than ever to get offers from up to five different lenders. It isn’t always easy to compare mortgage offers. Loans vary by type of interest rate (fixed or variable), length (between 4-30 years), and the different closing costs charged. Make a chart of your offers based on length of time, type of interest rate, nominal interest rate, lender fees, third party fees, mortgage insurance costs. Estimate the approximate amount of time you expect to stay in the house and hold on to the mortgage. That is a key factor in choosing the right type of mortgage. Don’t rely on the APR based on the full length of the mortgage if you expect to leave before the full time elapses. Your upfront costs will be amortized over the amount of time you hold on to the loan. If you pay off early, then your APR will increase. Check out an ARM and see if you can save money; however, make sure that you can afford higher payments in the future. Mortgage rates fluctuate. A mortgage quote is only valid for a limited amount of time. In fact,until you submit an application, you can't lock in your rate. Read the fine print in an offer AND ask you lender how long the offer is good. For most rates you see advertised the standard lock period is 30 days. You can then get a new offer, or ask your lender about paying to lock in for an additional period. Ask your lender to put the lock period in writing. Ask the lender what the average closing time is on their loans. Lenders will not make a guarantee on a closing date. Ask the lender who will pay to extend the rate-lock, if the loan does not close before the rate expires. Avoid paying upfront fees, so that you can switch lenders if rates drop. If you are purchasing, get a rate lock after signing an agreement. If you are refinancing, then move quickly. Rate lock fees are complicated. Have the lender explain them again. Get a quote for a purchase or refinance from a Bills.com mortgage provider. 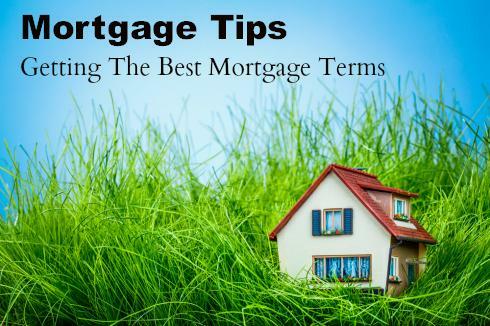 For more mortgage tips check out our other article about mortgage tips to getting qualified and mortgage tips to finding an affordable mortgage.